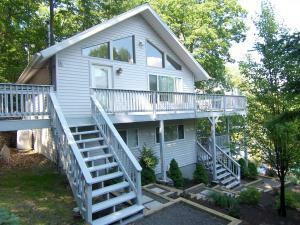 USA Realty Pocono Office specialize in helping busy people find their ideal Lake Naomi Home. Lake Naomi requests that you be accompanied by a Real Estate Agent when you view homes. You may not drive around the neighborhood unaccompanied. Call an agent at USA Realty Office at 570 517 2428 to view homes. Lake Naomi home buyers protect yourself. Get a Buyer's Agent - We are Free! Sellers have their listing agents representing them. We're here to represent you. We will consider your needs, including schools, communities and more, to find ALL the MLS homes meeting your needs. Next we point out defects (not just positive features) of each home. Fully informed, you simply pick the best home for you. We team up with you to assist & guide you through the entire purchase process. Qualified, full-time, experienced Realtors take the best care of you. Pocono New Homes - On-site Agents represent builders and new home contracts are often created by builder attorneys. When visiting any new home communities have us by your side to protect your interests. Our Broker is a former director of the Poconos Builder's Association and a retired builder. Why wouldn't you? It's Free! Prepared by USA Realty - 39 Years experience in the Poconos in 2016. The information on this sheet has been made available by the MLS and may not be the listing of the provider. The data relating to real estate for sale on this web site includes listings held by MLS-IDX Participants of the Internet Data Exchange program of the Multiple Listing Service of the Pocono Mountains Association of Realtors. All listing data is the copyrighted property of the aforesaid Association and its MLS-IDX Participants with all rights reserved. It is not Guaranteed to be accurate. You are currently searching real estate listings in Lake Naomi, PA. Use USA Realty's real estate guides for first time home buyers to gain neighborly advice on the real estate process while you search find homes for sale in Lake Naomi, PA . USA Realty also features other guides on real estate topics like buying a home, selling a home, home finance, moving, and foreclosed homes. Use USA Realty tools on current mortgage rates and mortgage calculators to determine your real estate listings search range in Lake Naomi, PA. If your home is for sale, take advantage of articles and videos to learn tips and tricks on home value to increase your chances of a quick sale . Search USA Realty's foreclosure listings in Lake Naomi to find deals on your next home or investment opportunity. Refine your real estate search in Lake Naomi by neighborhood, price, number of bedrooms, number of bathrooms, property type (including Vacation Homes in Lake Naomi, PA , and single-family homes in the Lake Naomi area).